Fast ForWord was launched in 1997 and has since served 2+ million students, mainly in the United States. It has been the subject of intense scrutiny, mainly by the founders’ neuroscientist peers, but also by a wide range of educators who conducted trials to test its effectiveness for schools. Fast ForWord was the subject of a PBS special called “Brain Fitness For Kids.” This program explores the exciting promise of brain plasticity and how parents can use this to optimize learning and dramatically, positively and permanently impact the lives of children of all abilities. 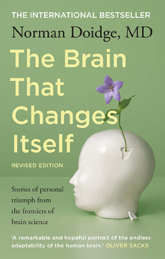 Through interviews with neuroscientists, psychologists, educators, parents and the children themselves, it tells the groundbreaking and moving story of previously unthinkable successes in learning and life. For many years, the conventional wisdom in science and education had been that the majority of the brain’s functioning was established during the “critical period” of the first few years of life. It was thought that after these first years that the brain was hardwired by the child’s neurological history, genetics and life experiences. Following this way of thinking, a teacher worked within ‘limits’ rather than exploring the possibilities of a child’s ability to learn, and has doomed generations of children to a limited learning experience and an often deflated sense of self worth. The brain is a plastic, living organ that can actually change its own structure and function, even into old age. Arguably the most important breakthrough in neuroscience since scientists first sketched out the brain’s basic anatomy, this revolutionary discovery, called neuroplasticity, promises to overthrow the centuries-old notion that the brain is fixed and unchanging. The brain is not, as was thought, like a machine, or “hardwired” like a computer. Neuroplasticity not only gives hope to those with learning or other mental limitations, but expands our understanding of the healthy brain and the resilience of human nature.